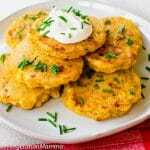 Zucchini Fritters are also known as zucchini corn cakes or pancakes. 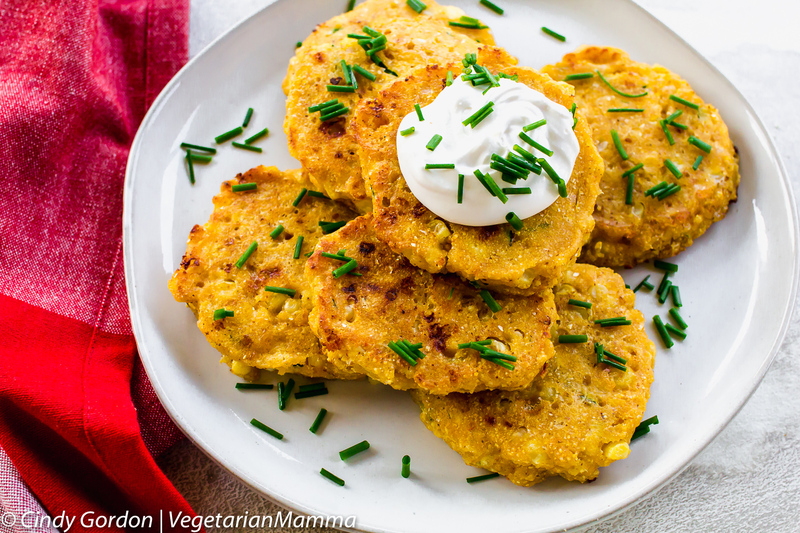 These gluten-free vegetable fritters are delicious and make the perfect freezer meal recipe! 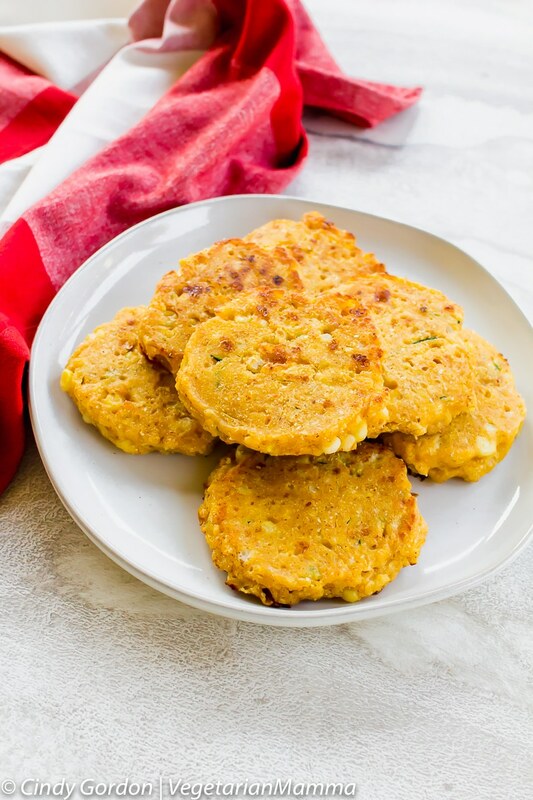 These Zucchini Corn Cakes are perfect to help use your garden zucchini. They cook up great, just add your favorite sauce or dip to top them! The good news? 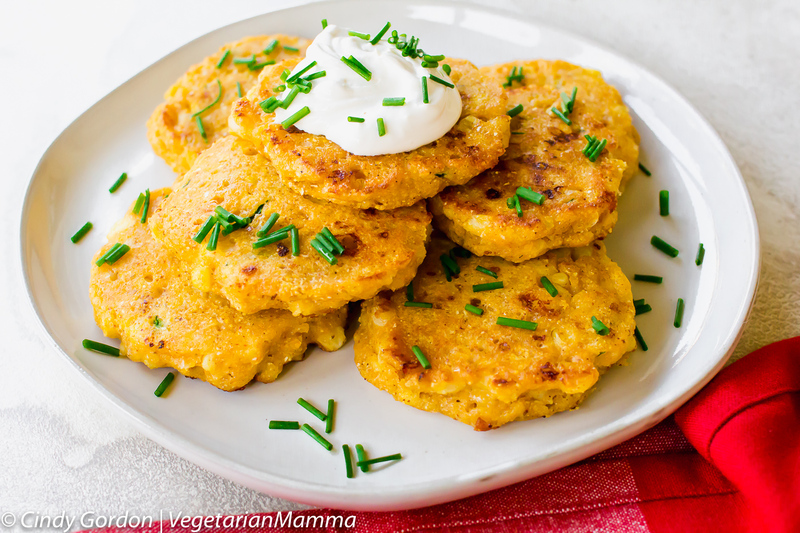 This corn pancake recipe is crazy simple to make. Like crazy, crazy simple. It’s perfect for any level of cook. Seriously. This recipe actually has some history and quite a fond spot in my heart. When I started this site, I did so to share what we ate as vegetarians. Family and friends would issue countless questions about what we eat. So I created a blog to share just that. A few years later, insert the kids, which came with some food allergies and other fun stuff and our site shifted focus slightly. While everything is still vegetarian, everything is now gluten-free. All recipes are nut-free, though we may start adding in some nuts and the only nuts my youngest is still allergic to is almonds. We also have some dairy free recipes too. So I basically started to share recipes and how I adapted things. Then I started to create recipes and it has carried on since then. Back in 2012, I posted this recipe in August. This literally is one of our favorite meals. The recipe got some interest but nothing too crazy. Then it happened. This is the recipe that broke my website. I woke up Thanksgiving morning and happened to log into my site. It was broke. You see the day before this recipe was listed in a HUGE freezer meal round up for new moms. You can see the round up here, they have reposted it an updated it with new dates throughout the years. They listed my recipe as #7 on the list of 24 and the internet went wild! So wild that my little site couldn’t handle the traffic. The site was down for most of the day before and most of that Thanksgiving day. My host worked hard to upgrade the server and I was back up and running the day after. I am extremely thankful for the visitors that came those days and the days after. I am so thankful for PopSugar (and more) for listing my recipe in their round up. It is amazing what one simple mention can do sometimes! What kind of corn should I use? Love corn? You honestly can use any type of corn. I typically use fresh corn. We always seem to have extra corn that I cut off the cob. Ears of corn are so plentiful in the summers when I typically make this dish. Frozen corn works well in this dish too. If you have canned corn on hand, drain first and then you are ready to use. This dish is extremely flexible. Use what you have on hand! 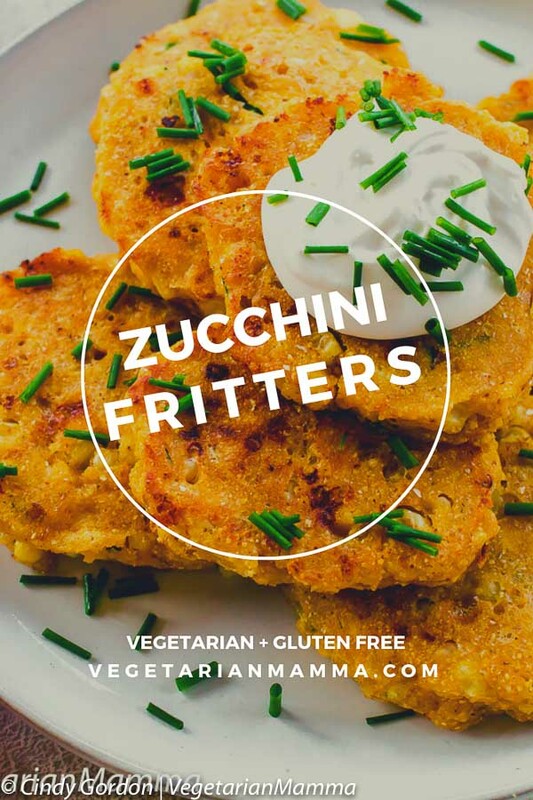 What ingredients are found in this zucchini fritters recipe? All common ones that you may have on hand! Of course shredded zucchini, salt, and pepper to taste baking flour…and a few others. They all combine easily and taste amazing giving this dish a big thumbs up from our family to yours. I use a hand grater to grate my zucchini. For me, this method is quick and the food grater (affiliate ad link) is affordable! Nothing fancy here! Zucchini is naturally full of moisture. Ready for my number one tip after you grate zucchini? It is important that you squeeze your zucchini in a paper towel after you have grated it. If you don’t, the recipe will be too watery! If you forgot to squeeze the zucchini and your recipe is too watery, no problem! You need to add more flour to your mixture 1 Tablespoon at a time until you reach a consistency that allows you to form a patty with the mixture. 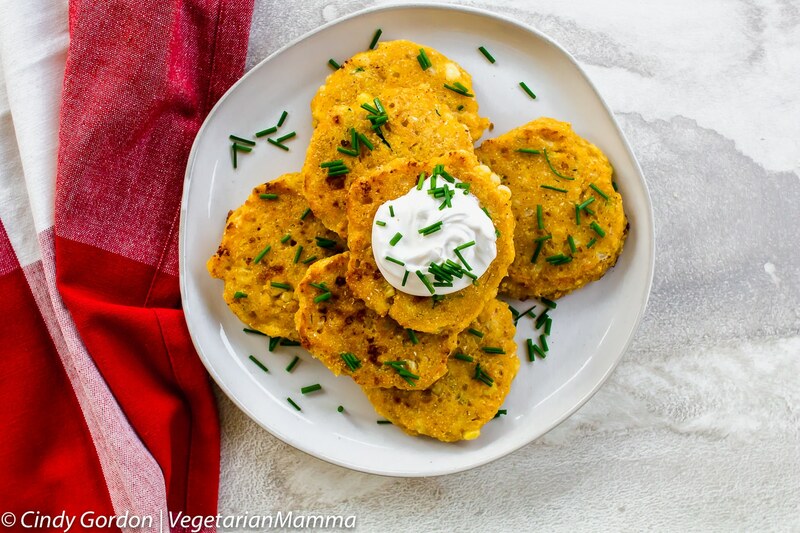 Do these corn pancakes freeze? Yes! These little guys freeze well so double the recipe or triple the batch so you can stock your freezer. 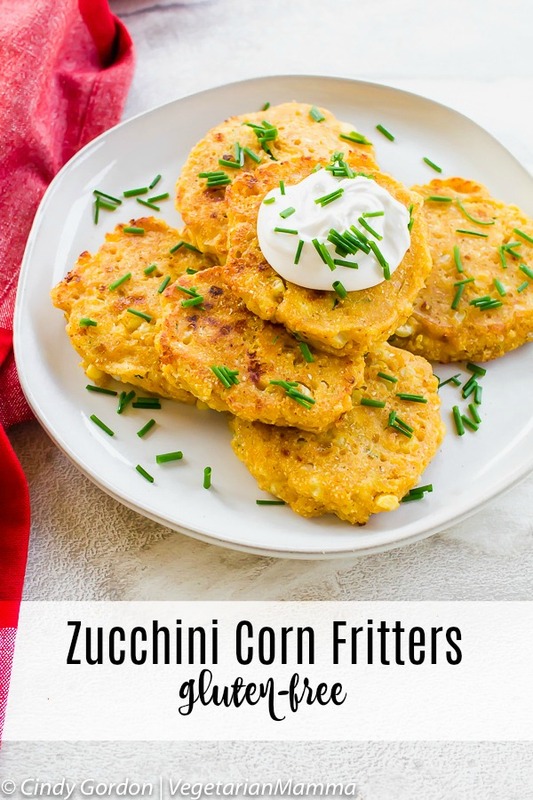 If you want to freeze the corn fritters, and you have a large freezer, I would suggest placing the gluten-free fritters on a baking sheet and placing into the freezer first. That way the individual fritters can freeze, then you can place them into bags or containers. If you don’t have room for a baking sheet in your freezer, you can put the fritters onto plates to freeze thoroughly first. The batter is more like a pancake consistency but close to a veggie burger. I know that sounds crazy. You want to be able to loosely form the patty, though the batter will be runny. The goal is to fry the patties up crisp. If you want to bake the patties, you would need to add more flour so the patties are pretty sturdy. Then you can play with oven temps and times. Mix together ingredients, stirring in 1-2 T of taco seasoning. Heat oil in a skillet over medium/low heat. 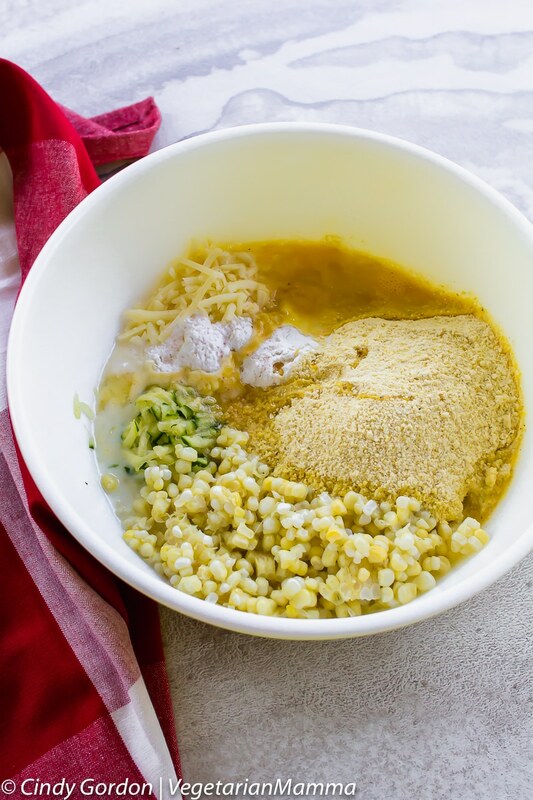 Scoop 1-2 Tablespoons of corn mixture into the hot oil and press down to form a “patty”. 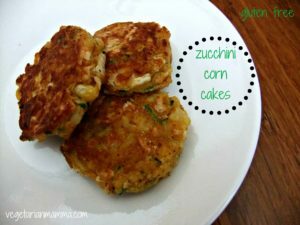 These Zucchini Corn Cakes freeze wonderfully! 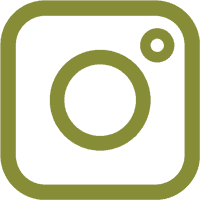 If you are looking for more delicious recipes, you can check out our recipe index and our listing of gluten-free side dishes. All our recipes are nut-free and gluten-free. We also have vegan recipes too! We recently revamped the pictures on this recipe, the new ones are above and the one below is our old picture from 2012! Phew, that was a long time ago! Have you made this zucchini dish before? I’d love to hear from you! 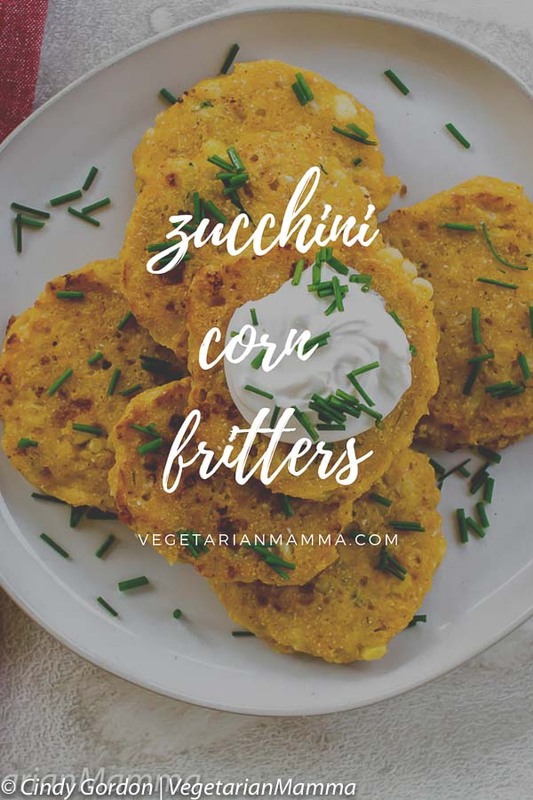 I adore corn fritters, and your idea to add zucchini is brilliant! What a great way to use up prolific garden zucchini this time of summer! These look so delicious. Such a great idea to make a larger batch and freeze some to make it easier for next time. Love it! I love that my kids ate this up with zero complaint and they usually put up a stink when it comes to veggies. Thank you for helping make dinner time easier. These look so delicious! They’re sure to be a favorite new side! These sound delicious! Dangerously good… These are mouth watering! I love a good fritta for lunch! I have to try these!